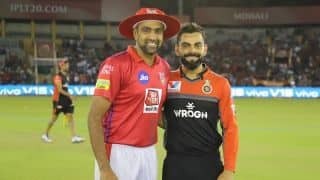 Match 27 of the IPL 2019 pits Rohit Sharma’s Mumbai Indians against Ajinkya Rahane’s Rajasthan Royals in the first match of Saturday’s double-header at the Wankhede Stadium. While Mumbai are coming off a sensational come from behind win against Kings XI Punjab, riding on the batting might of their stand-in captain Kieron Pollard and are on a three-match winning streak, RR slumped to their second straight defeat with a four-wicket loss to the table-toppers Chennai Super Kings at their home venue of the Sawai Man Singh Stadium. 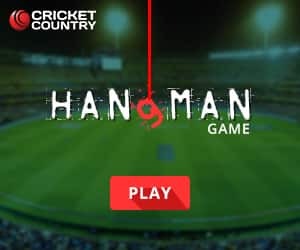 In the points table, while Mumbai are placed third with eight points in six matches, Rajasthan are in dire straits with just one win and two points in six games, and are at seventh. 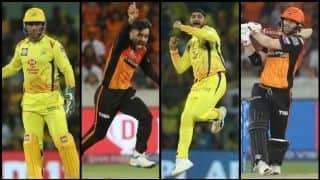 It is a must-win for Rajasthan to keep a healthy chance of playoff berth, while a win for Mumbai would take them to their fourth straight win and will help them consolidate their top-three position. 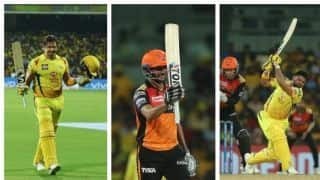 Mumbai have a slight advantage over Rajasthan in the IPL claiming 11 wins in 21 matches, while the inaugural IPL champions have got nine wins to their name against the three-time champions, with one ending in no result. 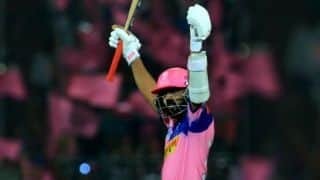 But, the surprising fact here is, in IPL 2018, Rajasthan claimed victories over Mumbai at home and away, and that should boost the confidence of Rahane, who will be returning to his home ground. 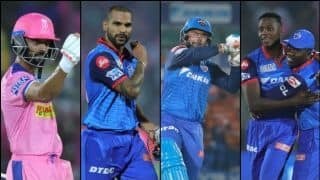 Pollard confirmed after Mumbai’s win over Punjab that Rohit, who missed that game due to a leg spasm, will be back at the top for the this match. 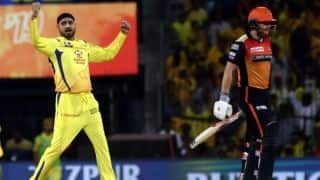 Siddesh Lad, who made his long-awaited IPL debut at Rohit expense is most likely to sit out. 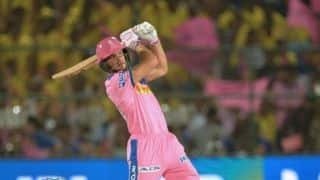 And with Pollard blitzing his way to an match-winning 83 off just 31 balls, batting at No.4, Mumbai should stick with Pollard batting higher up, with the Pandya brothers donning the finishers’ role. The the bowling department, despite being taken for 197 runs by Punjab, is likely to remain unchanged. 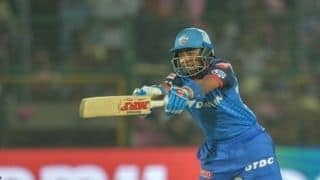 For two times in a row, Rajasthan batsmen failed to get going despite getting the starts and managed to put up a below par total, albeit on a slow Jaipur track. 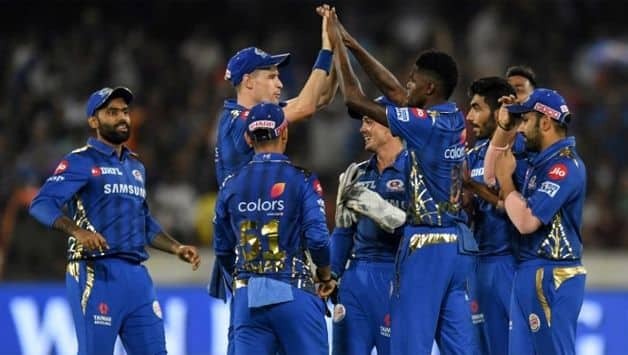 The bounce of Wankhede will be a welcome change for the Rajasthan batsmen and despite the loss, Rajasthan are unlikely to change their XI. The form of Steve Smith is a worry for Rajasthan, but the Wankhede could prove to be the ideal track for Smith to regain some confidence. 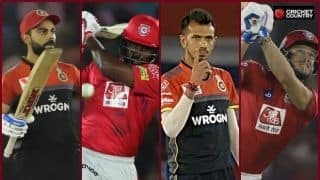 While the bowler’s did a commendable job of keep their team in the hunt in defence of 151, looking at the Mumbai track Rajasthan may be keen to add the extra firepower of Varun Aaron at the expense of either Riyan Parag or Jaydev Unadakat, or get in Krishnappa Gowtham in place of Parag. “Obviously, Rohit is the captain of the team and it was only a precautionary measure for the team. He should be back in the next game.” – Mumbai’s stand-in skipper Pollard said after leading MI to a last-ball three-wicket win over KXIP.